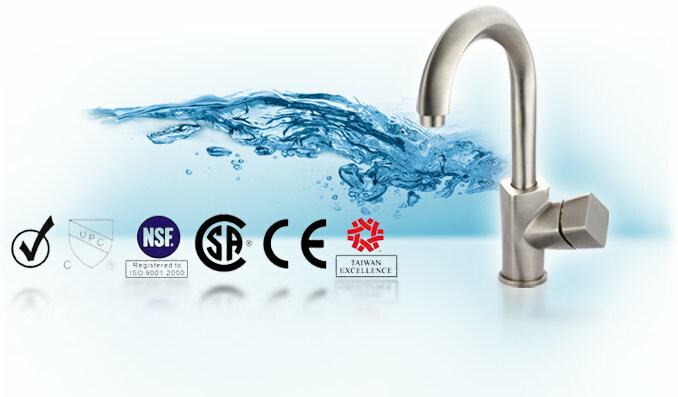 We are professional manufacturers of, faucets (lavatory, kitchen, tub & shower) with UPC, CUPC, AB1953 certifications, bathroom accessories, plumbing supplies, water well system supplies and related components since 1980. Besides, we also offer custom OEM/ODM service for metal fabrication in brass, bronze, stainless steel, steel, aluminum by sand casting, forging, investment casting, gravity casting, investment casting , low pressure die casting, CNC machine with complete secondary operations. Service includes (1) Manufacturing, (2) Sourcing (3) Purchasing & (4) Inspection for both residential and industrial applications to achieve sales target by modern manufacturing facilities with complete in-house inspecting & testing equipments. With SPC & CPK practices and quality control program under ISO 9001, we do it all and at cost that make sense or different. UPC, CUPC, IAPMO (AB1953), NSF, CE, etc..